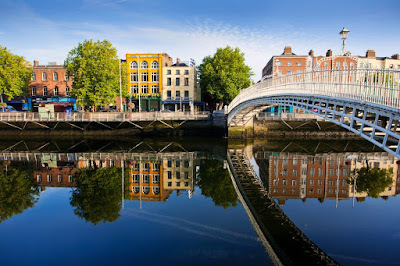 A weekend in Dublin, or any other two days in the Irish capital, will give you some time to see quite a lot, though you may have to skip the in-depth look at many attractions. 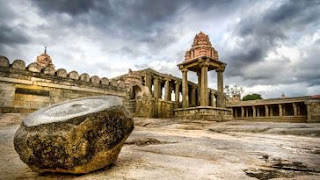 This is a time for prioritizing, for doing what you want as opposed to slavishly following a pre-made itinerary. As always, if you want to see a lot, get up early and keep the traveling time into Dublin to a minimum. Getting a slightly cheaper accommodation at the back of beyond may be a false economy if it means wasting time commuting. Start off in the city center, on O'Connell Street, by catching on of the several Hop-On-Hop-Off Tours that will take you around Dublin, complete with commentary and the best photo opportunities in many cases. The tickets on these tours are usually valid for 24 hours, so the bus will be your convenient mode of transport for today. 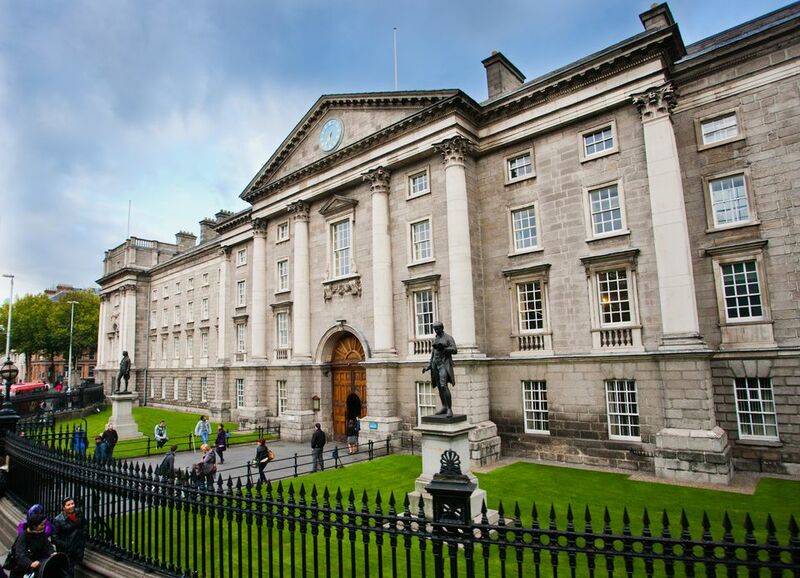 After joining the tour, you will pass Trinity College and then head for the Georgian area of Dublin, complete with the Government Buildings, Leinster House and the huge inner-city parks, Merrion Square and St. Stephen's Green. You may want to get off here already and take some photos in the parks, of the buildings and also of the famous "Doors of Dublin". Head on to Kildare Street on foot. 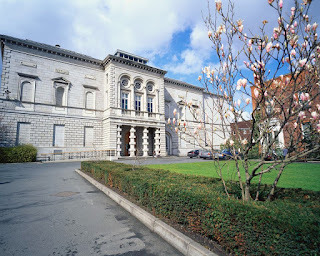 The National Museum of Ireland in Kildare Street should not be missed and it may also provide a good spot for lunch. Plan at least an hour, better ninety minutes or two hours, for a stroll around the two levels and an immersion into Ireland's past at its best. If you want to skip some exhibition areas, make sure to see the Celtic hoards, the early Christian treasures, the Viking remnants, and the bog bodies in the "Sacrifice and Kingship" section, like Clonycavan Man. The museum also has a very good restaurant, so you might take your lunch here. The gift shop in the entrance area might be a good opportunity to get some decent souvenirs. One word of warning, though: the National Museums are closed on Mondays, even if they are Bank Holidays. Slightly ridiculous, but an annoying fact. Catch another bus and let it take you past Dublin Castle to the Cathedral area. Alight at Christ Church Cathedral if you like, a visit is recommended, as is the Dublinia exhibition next door. If you like your revolutions glorious but gory, Dublin certainly is the place to go. The events of the Easter Rising in 1916 will always stay in the collective memory. 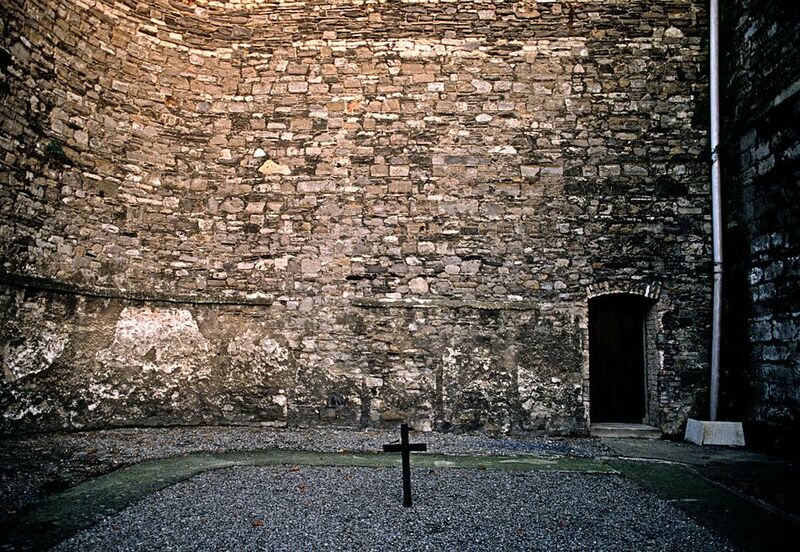 The bus tour will take you past Kilmainham Gaol, now a monument to suffering, hardship and the birth of a nation. Interesting in itself and a hands-on excursion into the penal system. 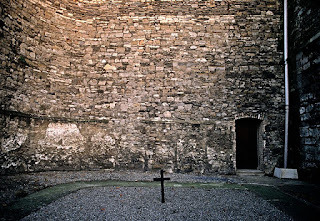 We would, however, recommend skipping the jail and heading on to the National Museum in Collins Barracks. You will find excellent exhibitions on both the military history of Ireland and the events of 1916 here. And you may revive your flagging strength in the café. 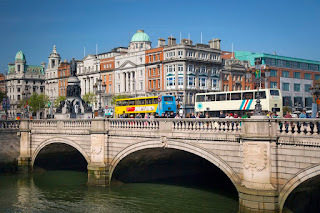 Afterward, you may either take the bus to the city center or for another spin... or walk to the other side of the Liffey, depending on your plans for the evening. 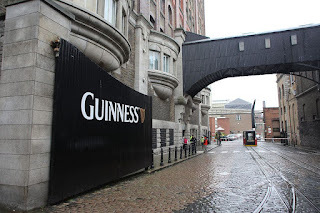 Why not hit the Guinness Storehouse now? A tour of the exhibition will give you an insight into the history and importance of “the black stuff”, earn you a free pint and maybe a seat in the stunning Gravity Bar, one of the best viewpoints in Dublin Or book a full evening of food and entertainment at the Old Jameson's Distillery, where the Barrelman's Feast awaits? The alternative would be to head for the Temple Bar area, grab a bite there and then hit the pub trail. Well, whatever you decide ... we'd recommend a pint or two in a pub this evening. Provided you haven't overdone it the evening before, you may again want to start early and then exercise your legs. The second day in Dublin will start at Trinity College, which you will have bypassed on the bus already. Now it is time to go in. A leisurely tour of the college can be done on your own or in one of the groups that are regularly leaving from the main entrance. Suit yourself. The same goes for the Book of Kells. If you really want to see it, prepare for a bit of a queue and some time waiting. Usually not that bad first thing in the morning. As a follow-on, a visit to the Chester Beatty Library is highly recommended, it is just a few minutes up Dame Street and in the grounds of Dublin Castle. 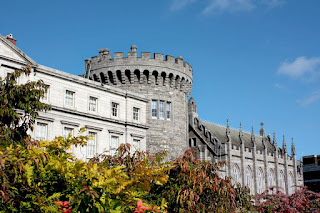 Explore Dublin Castle at your leisure, even join a tour of the castle interior, if you want. Or have a glimpse into the quirky Revenue Museum. Or, simply let yourself be carried away to foreign lands by the treasures on display in the Chester Beatty Library. For a lunch break, both the café near the castle entrance and the Silk Road Café offer some good food at reasonable prices. Fill the afternoon with a program that suits your taste. You may like to spend some time shopping in Dublin. 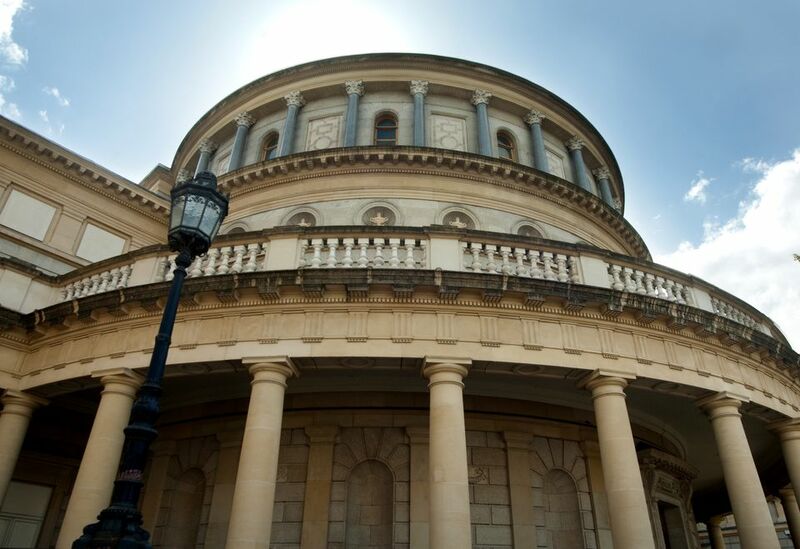 Or you could visit the National Gallery of Ireland to find some more treasures. Or, especially if you have kids with you, you might like to try the National Wax Museum Plus or the National Leprechaun Museum. The possibilities are sheer endless. The possibilities for the evening are endless. Many visitors will head for a pub again, so grab a reasonably priced meal and then hit any pub you like. 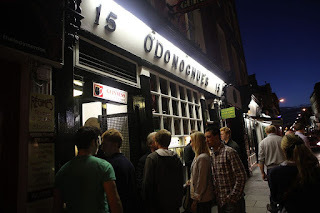 Maybe the famed O'Donoghue's musical pub? Or any of the Temple Bar pubs? The alternative would be to take in a show, a concert or a play. Dublin has a number of venues that will provide quality entertainment on most nights of the year. 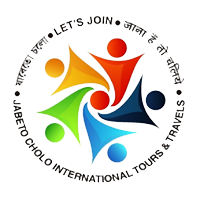 Just remember to do some research as soon as possible and book ahead, though late ticket sales are possible.